For this post, we’re going to look at the three Crawley sisters plus their cousin Rose, since they’re closest in age, and it’s interesting to see how the designers used costume to make distinctions between these characters. Clothing Style: Tailored (day) and severely chic. Dominant Colors: Black, grey, reds, whites. Details: Mary is strong and sharp, and her clothing reflects it. She loves tailored looks, from menswear-inspired suits and coats to relatively severe blouses and skirts. She goes through mourning multiple times during the series, but that’s okay because she loves black and grey anyway. For evening, she Brings It with tons of glamorous sparkle, but she’s almost always in clean lines and geometrics. From the first series through the last, Mary has loved tailored garments with menswear touches. Her casual go-tos are simply elegant blouses and skirts … and if she’s going to add color to her wardrobe, it’s going to be some variation on red. Her wedding dress for her marriage to Matthew perfectly encapsulates her style: very chic, very pared down, very elegant. No ruffly lace for Mary! Mourning works on Mary like nobody’s business, because of her severe personality. Mary’s evening looks always have lots of bling, but are otherwise all about looking streamlined and modern. As the series progresses and she moves into respectable mother/widowhood, she keeps her chic-ness but can go overly formal with the blouses, making her look mumsy. Clothing Style: Floundering at firsts, then daring glamour and career-woman chic. Dominant Colors: Oranges, greens, gold, and blues. Details: Edith spends the first few seasons unsure of herself and where she fits in her family and the world, and this is reflected in her wardrobe: she veers between Mary’s tailored looks and Sybil’s soft romantic style. When she starts writing for a London magazine and falls in love with the editor, she finally settles into herself and her wardrobe. First she finds her glamorous side, then as she settles into her career, she adopts a businesslike — yet still very feminine — air. Oh look, it’s the early awkward years. She doesn’t always look this uncomfortable, but she’s unsure of herself and her style. She does know that she looks great in shades of orange. Thank you, career and love, for helping Edith find her AMAZING inner and outer glamour! She’s comfortable in her skin and her wardrobe by season 4, looking serious yet still feminine. This magazine owner is all woman and all in charge. She finally marries the Right One, and she looks elegant, feminine, and confident in the series finale. Phew! Details: Looking back, Sybil was such a background character, it’s a wonder everyone didn’t predict she was going to be killed off. Her wardrobe was so muted — except for the notorious Poiret harem pants — and her style was so soft and sweet, that it’s like she was destined to die nobly in childbirth. Her clothes don’t show a huge evolution, since she’s mostly seen from 1914 to 1919 and just a little bit in 1920. Still, she does get the “young” styles, at least until Rose comes along. Perfect 1910s daydress worn a lot during the first season. Sybil wears this teal-blue evening throughout the first two seasons. Her white outfit for the flower show and ‘let’s announce WWI’ tea in the first season. Asymmetrical hats and hairstyles were kind of a thing on Sybil. She wears a this uniform through most of the second season. Sybil is always down with the people, and she learns to cook in the second season, while wearing a pale plaid blouse and skirt combo. Basic green suit is livened up with a print hat brim, series 2. Sybil and Tom at Mary’s wedding, series 3. Gorgeous arts-and-crafts embroidered velvet gown for Sybil’s final episodes. Even as she’s dying, Sybil gets some very sweet embroidery. Details: Rose is the youngest woman of wealth we see in the show, entering in 1921, and this must have made the costume designers giddy with all the opportunities to try out trendy 1920s fashions on her. She starts out with wild curly hair, she wears ruffles, she’s in lots of prints (both florals and plaids), and her style is flapper wild-child to go with the antics of her storyline. Not until the end of season four, when she meets Atticus Aldridge, does her style (and personality) begin to settle down. 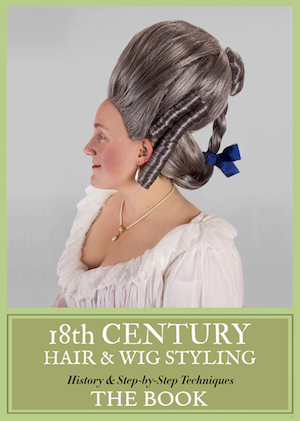 Then *bam* she’s married and off the show and on to every other historical costume drama in the world. Wild curls and bright red for this flapper getting caught with a married man in season 3. She’s the first to wear sporty, trendy sweaters, as seen in season 4. Rose’s debutante gown in season 4 is a cutting-edge Lanvin style, as is the bright pink evening gown she wears to dance with the Prince of Wales. In season 5, Rose gets a little gravitas with her volunteer efforts and wears more simple outfits. Rose’s wedding gown is the most glamorous of all the Downton ladies (and it’s vintage!). Although, even after she’s married, Rose can pull out some fashion-forward bling. And the last time we see Rose, in the series finale, she stays true to form with a touch of pink. 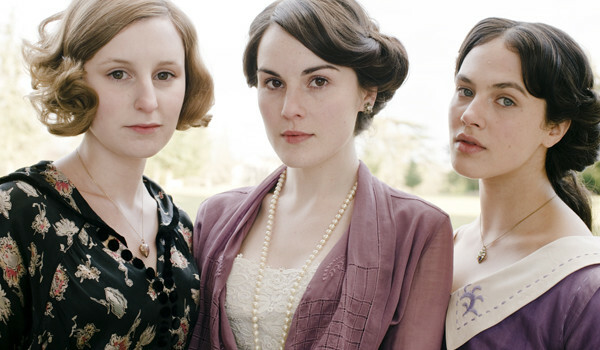 What do you think about the Downton Abbey sisters’ style evolution? Do you have a favorite Crawley sister? Thank you. Did you know that Worth did a harem pants fancy dress way back in the 1870s? It kinda reminds us of Lady Sybil’s. And Lady Rose wore pink puff hair thingy at dinner first night, she was in something else pink for Lady Edith’s wedding. I loved all the costumes each younger Crawley/MacClare wore. Rose was indeed a debutante in the truest sense, she’s wearing more specifically a Court Presentation version of a Lavin’s robe de style, with train and ostrich feathers. I never much liked this style, but it certainly was cutting edge for it’s time. I read that Lady Rose’s wedding dress was an original, but never worn. I wonder what the story is behind that. It’s such an amazing gown.